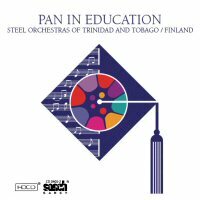 The authentic Caribbean is made up of all of the world's peoples - African, Asian, European, Mid Eastern and the native Amerindian. 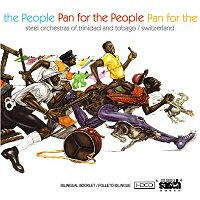 They form an ethnic montage that has composed a distinctive cultural personality. 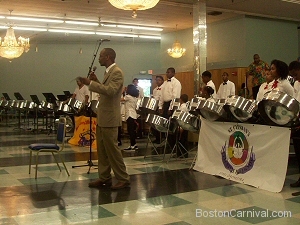 Their rhythms are unique as seen in their performing arts - music and dance; they stimulate your sensibilities with the writings of their writers and the paintings of their painters; and they nourish you with their cosmopolitan food. 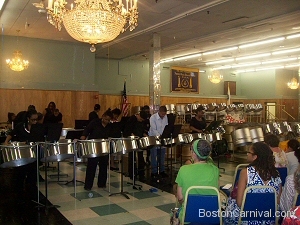 These characteristics, and an early socialization in multicultural, multiracial countries have allowed West Indian immigrants, for example, to assimilate seamlessly into Boston. They have an almost instinctual knowledge of how to live in a city such as contemporary Boston. 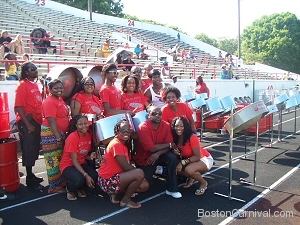 July, 2010 – Boston, MA – The first event for the 2010 Caribbean American Carnival season is the Steelband Jamboree at White Stadium on Sunday, July 11. 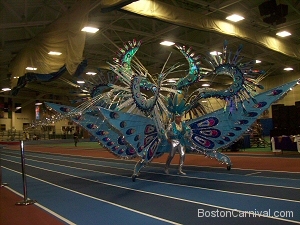 King of Carnival & Queen of Carnival contest is a major component of Carnival. 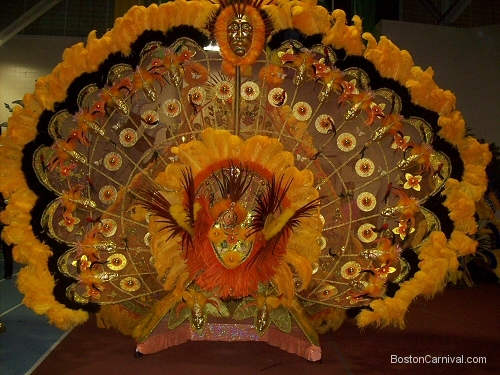 The costumes, costly and intricate in design, are judged not only on their visual presentation but also on the on-stage performance exhibited by the masqueraders. 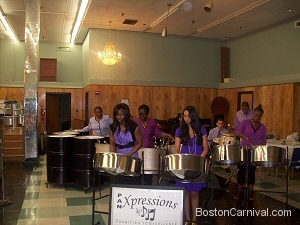 Kiddies' Carnival highlights our young children in colorful costumes of various themes. 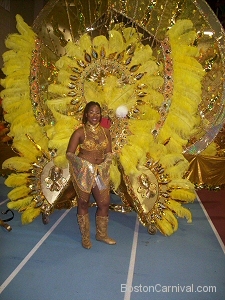 This is a competitive event in which winners are chosen and recognized each year. 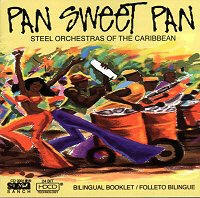 Steelband Panorama is the competition of steel pan musicians playing popular calypsos. In recent years, there has been no panorama in Boston. 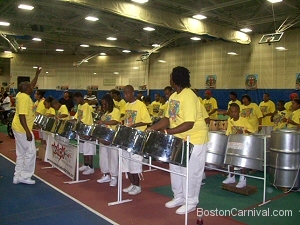 Listen to the last Panorama Champions: Branches Pan Groove Steel Orchestra of Boston. 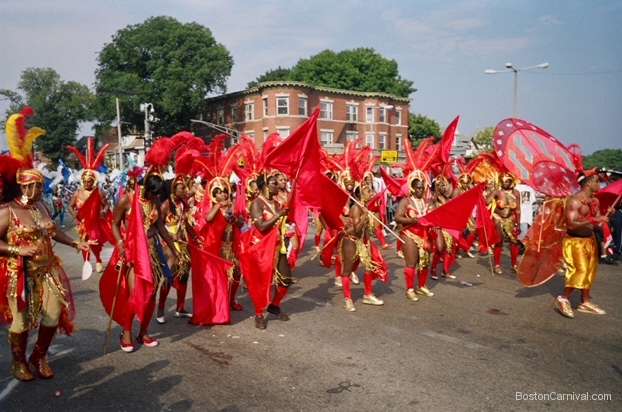 J'Ouvert begins Carnival day with the daybreak celebration - "Breaking of the Day" during which participants don home-made costumes and act out various portrayals. 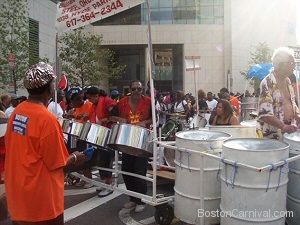 The Carnival Parade begins on Martin Luther King Blvd. 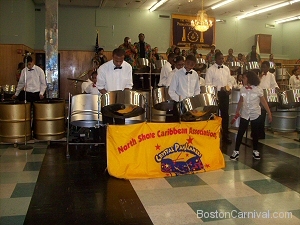 in Roxbury, where bands and their masqueraders come to the streets with spectacular colors and sounds that signal the arrival of CARNIVAL. 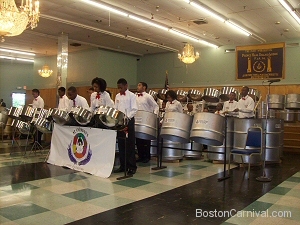 The parade proceeds along Warren Street, through Grove Hall and on to Dorchester's Franklin Park.